Nice work with the NMF and the variety of finishes you tried. over the years, I've settled on AK Metallics over Gunze Mr Color Gloss Black and the results have been bullet proof and the best of all the NMF finishes I've used over the years. I've no no problems of the AK or even Alclad lifting off the gloss black and that's the key: the gloss black base. Yup, the metallics are translucent and the need for the gloss black base. I do find AK Metallics are tougher and adhere better then Alcads. Looking very closely, I can see the individual panels and they look the part. Primers can be funny. 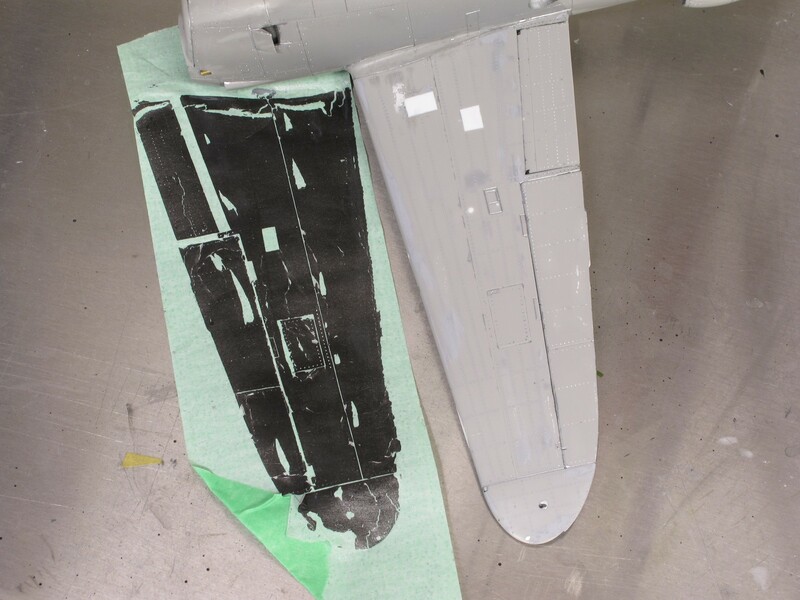 I built a P-38 and decided to use Vallejo Metal color and its recommended primer, a gloss black. Primer sprayed beautifully as did the color coat. Masked and the primer and color coat pulled up. Not a little, a LOT. Made stripping it all off easy. Resprayed with Tamiya primer and AS-12, bullet proof. Picked out panels with the Vallejo Metal color, never ever lifted the Vallejo with tape....dumped the Vallejo primer, kept the paint. Great work! Very inspiring! Keep up the great work! Your Mustang is really looking quite nice, Quang. Indeed the problem is the primer. In the last century I used to use automotive primer, the kind they used in repair shops to paint automobiles. It's was a thick gooey stuff which we had to dilute in cellulosic thinner. A can lasted one or two modeler's lifetime. It was perfect for plastic models. Never heard of lifting in them old days. Then when I returned to aircraft modelling some years ago, no more automotive primer to be found but a whole crowd of new products each boasting as the new perfect primer. I tried several including Vallejo, Prince August,.... I tried the Tamiya primer in spray can. I liked it a lot, possibly the best of the lot but I found it too expensive (13 Euro for a 100ml can. So I settled on Black Chaos from Citadel. Thank you all for your comments. They mean a lot to me. That looks superb, Quang! And a very wise choice in paints for the finish, too. And I agree with the others: the paint lifting is definitely caused by the primer. I use AS-12 all the time, and it's normally bullet proof. My primers of choice come from Gunze and Tamiya. I remember reading builders in Britain were using Halfords brand auto primers. Maybe they can chime in how they work? Well well, now I know. It'll be Tamiya primer all the way. Is this the one? Do you guys use it decanted or direct from the can? I used to use the Holts auto primer in spray can on my figures. But then figures are not the same as plastic models as you don't use masking tape on them. Same as Citadel's Chaos Black which is designed to be used on figures. My problem could be that I thought a good primer for figures would be equally good for models. Genre-crossing may be not as smooth as one thinks! Generally straight out of the can. 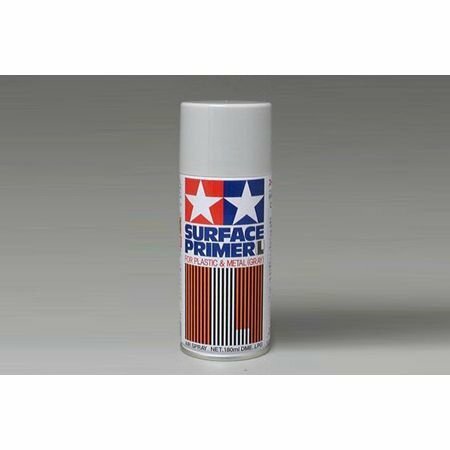 If you need to airbrush it, the Gunze primers (Mr. Surfacer) are all available in jars to save you the trouble of decanting it. I think the Tamiya primers may be available in glass bottles too, but I'm not completely certain about that. I often decant Tamiya's AS-12 for airbrushing, however. That's the one. Never fails....having said that, forget the Halfords. Like you said, genre crossing might not be smooth sailing. As for cost, a Tamiya spray tin of primer gets 2-3 builds done, at $13.00 CDN a tin on a build I've spent close to $200.00+ and countless hours on, $4.00 for prime is peanuts. I spray out of the tin, decanting or Gunze would give better control. My problem is different. I tend to use lots of primer on my builds. Can be up to 3 Tamiya-size cans on one build. A reminder of my figure days when I used primer at every step of the build to check for imperfections. So for a cheapskate like myself, the idea of spending 39 euro of primer on a 35 euro kit is not an uplifting (pardon the pun) thought! OK. I get what you're saying. I can see how using that much primer would add up. In that case, I'd just get hold of a few jars of Mr. Surfacer in different grades and shades, along with a bottle of Mr. Color Thinner (Levelling or not), and just thin them for airbrushing. It'll be more expensive up front, but will last a lot longer, and be cheaper than the cans. Generally speaking, I've found the Tamiya primers and Mr. Surfacer products to be roughly equivalent in performance, but I do think the Tamiya cans spray a little better. Yep I am a great lover of the car primers from Halfords - Don't think there is anything special about them its just a car primer in a can and Halfords is convenient to me on the way home from work. I use the High Temp silver for a under metal look - couple of light sprays. It drys pretty quickly then polish with a soft cloth, old knackered cotton t-shirts. I have never had any problems with paint lifting. Only with my clumsiness with finger grease! I never decant these - I can make enough mess from the can with out doing this! just keep it a light spray, good drying time and a polish to finish - Oh and watch out for the finger grease.